misuse of OTC codeine products resulting in deaths from hepatic injury, gastrointestinal perforations and respiratory depression. The TGA’s rescheduling of codeine is part of a long-term trend of restricting the availability of opioids, which were once incorporated in a vast array of medicines and used with little or no supervision. Nevertheless, many other opioid drugs continue to be used legally and illegally worldwide. In this article, we take a look at the major opioid drugs and how they are used and regulated in Australia. Opioids are chemicals derived from opium poppies or that approximate the chemical structures of opiates. They mimic the body’s natural endorphins, such as those released by the pituitary gland after vigorous exercise, producing feelings of euphoria and physical wellbeing. Undesirable side effects include tolerance and dependence; depression of the central nervous system, which can lead to overdose; and constipation. Opioids are widely used in pain management. synthetic opioids – such as fentanyl and methadone. The first opioid was opium, a naturally occurring compound harvested from opium poppies that produces euphoria, pain relief and sedation in humans. The Sumerians were using opium for its euphoric effects nearly 5000 years ago in religious and mystic rituals. Egyptian records describe opium being used for ‘medical’ purposes such as to calm crying children and euthanasia. In the 7th or 8th century, Arab traders introduced opium into China, where it was used to relieve pain and tension. Between the 10th and 13th centuries, opium was traded across Europe, and opium use and dependence was documented in Turkey, Egypt, Germany and England. By the early 18th century, opium smoking had become popular among wealthy Chinese, and subsequently among the general populace. Emperor Yung-cheng’s prohibition of the sale and smoking of opium, and then of opium importation and cultivation, had little effect. Western nations, primarily Great Britain, began cultivating opium (in India and elsewhere) and exporting it to China, against the wishes of the Chinese authorities, to offset large trade imbalances. Two subsequent Opium Wars (1839–42 and 1856–60) resulted in the legalisation of the trade and entrenchment of opium addiction throughout China, which continued to be a major health problem until the Communists seized power in 1949. In 1806 the German chemist Friedrich Wilhelm Adam Sertürner isolated morphine from opium (naming it after Morpheus, the god of dreams); codeine was isolated a few years later. Morphine soon became a mainstay of medical treatment for pain, anxiety and respiratory problems, as well as ‘consumption’ (tuberculosis) and ‘women’s ailments’ (menstrual pain), as did laudanum (a 10 per cent tincture of opium powder), perhaps the Victorian era’s most popular medicine. The invention of the hypodermic syringe in 1853 increased the use of opiates in surgery and general pain management. Morphine began to be used in minor surgical procedures to treat neuralgia, and was commonly used as a painkiller during the American Civil War. Many Civil War soldiers became addicted to morphine as a result; a safer alternative was needed. In 1898 the German chemical company Bayer derived heroin from morphine, and offered it as a cough suppressant and a ‘non-addictive’ morphine substitute for medical use. In the United States in the early 1900s, free samples of heroin were posted to morphine addicts trying to give up their habits. Nevertheless, in 1924, prompted by growing rates of addiction, a new Heroin Act made the importation, manufacture, possession and medicinal use of heroin illegal in the United States, and the rest of the world eventually followed suit. The appalling wounds and chronic pain experienced by combatants in the two world wars spurred the development of new opioid approaches to pain management. Methadone, a compound with pharmacological properties similar to those of morphine, was synthesised in 1946. Oxycodone became widely available in the 1950s, and in the 1990s was released with a new formulation (extended-release technology), permitting more controlled use. Morphine, fentanyl and hydromorphone were similarly reformulated, but diversion and illicit use of all these opioids continued. Although it remains debatable, soldiers returning from war in Vietnam are sometimes cited as popularisers of illicit heroin use in the United States and subsequently much of the world. Heroin injection soon became the dominant mode of administration among regular users. An unforeseen result was that the sharing of syringes made drug injectors a high-risk group in the HIV epidemic that began in the early 1980s. However, the rapid introduction of needle and syringe programs, combined with expansion of opioid pharmacotherapy involving methadone and eventually drugs such as buprenorphine and suboxone, suppressed Australia’s HIV epidemic among drug users well below the levels observed in most countries. Heroin continues to be the major illicit opioid in use worldwide. Heroin supply fluctuates with the fortunes of the Taliban in Afghanistan – the world’s single-largest producer of opium. The ‘Golden Triangle’, which spans remote parts of Myanmar, Thailand and Laos, remains a major illicit opium-producing region, and Mexico, Colombia and Pakistan are substantial contributors. Australia (specifically, Tasmania), Spain, France, Turkey, Hungary and India (in descending order) are the world’s major producers of licit opiates for medical and scientific use. In 2017, Australia’s output of ‘opiate raw materials rich in morphine’ was expected to be the largest fraction (22 per cent) of licit global production. As already noted, numerous opioid drugs are available in Australia and internationally on prescription, for multiple purposes. An estimated 2.9 million Australians were prescribed an opioid in 2014. About one in five Australians suffers chronic pain (pain that continues for more than three months). Pain affects people’s quality of life and productivity. Opioids are highly effective in relieving acute pain and pain associated with cancer, and in palliative care. According to the Australian Commission on Safety and Quality in Health Care’s Australian Atlas of Healthcare Variation, in 2013–14 nearly 14 million opioid prescriptions were dispensed in Australia. However, current evidence does not support the long-term efficacy and safety of opioid therapy for chronic non-cancer pain. Surgeons are substantial prescribers of opioids, often for patients who have undergone hysterectomies, gall bladder removal, tendon repairs and other procedures in which effective pain relief is crucial to recovery. Research shows wide variation in the types and volumes of opioids prescribed to patients following common surgical procedures; in many cases excess pills are prescribed. These over-prescribed opioids are often diverted to the illicit market, where they fetch high prices. Alternatively, surgical patients continue to take opioids until well after the original need for pain relief has subsided, risking dependence, overdose and other health harms. replacement of heroin, with a street value of $220 per gram in 2016 (about four times the price of gold). Methadone costs less than a dollar per 100 milligrams, thus its use reduces criminal activity undertaken in order to purchase drugs. Every dollar spent on methadone treatment saves the community an estimated $4–$7 in reduced costs of health care and crime. In Australia, three medications are registered for long-term maintenance treatment for opioid-dependent people: methadone, buprenorphine and buprenorphine-naloxone. These pharmacotherapies reduce withdrawal symptoms, the desire to take opioids and the euphoric effect of taking opioids. Treatment with these drugs is administered according to the law of the relevant state or territory, and with medical, social and psychological support. On a snapshot day in 2016, almost 34 000 people across six Australian jurisdictions received opioid pharmacotherapy at 2011 dosing points. There were 1472 authorised prescribers of opioid pharmacotherapy drugs nationwide. In 2013, it was estimated that about 460 000 Australians aged over 14 years (2.4 per cent of the population) had ever used opioids including heroin, methadone or buprenorphine, morphine and oxycodone for non-medical reasons over their lifetime. An estimated 230 000 (1.2 per cent) had used heroin. According to the National Drug Strategy Household Survey 2016, 0.2 per cent of Australians aged over 14 years (approximately 40 000 people) had used heroin in the preceding 12 months. 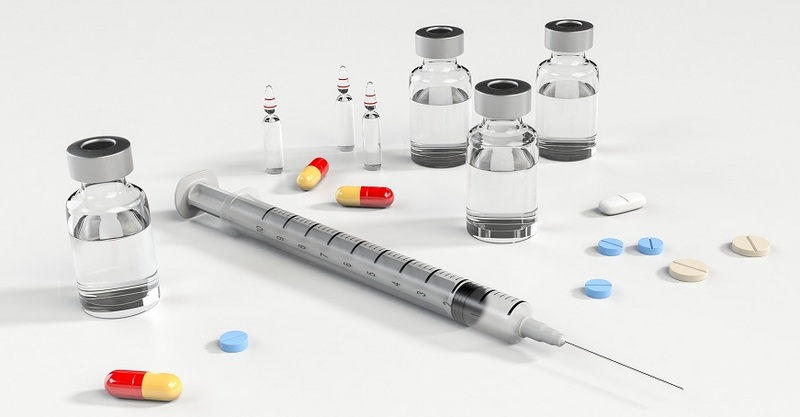 Using other methods, researchers estimated that 68 000 to 118 000 Australians aged 15–64 years had injected drugs in 2014, at least half of whom were heroin injectors. In 2013, 189 accidental opioid deaths among Australians aged 15 to 54 (32 per cent) were due to heroin. As noted earlier, people who inject heroin (or other drugs) are at higher risk of infection with HIV and other blood-borne viruses, notably hepatitis C, than non-injectors. Research released in 2017 showed that pharmaceutical drugs are now implicated in more than two-thirds of all accidental deaths associated with opioids. The rate of such deaths has more than doubled among Australians aged 35 to 44 years since 2007. In 2013, some 597 Australians aged between 15 and 54 years died from accidental opioid overdose. Initial data for 2014 and 2015 indicate that the numbers of accidental opioid deaths are continuing to rise. In the past, opioids were used to treat cancer patients in hospitals for pain relief, but in recent decades their use has become mainstream. A patient might leave hospital with a few weeks’ supply of twice-daily tablets, but ongoing pain and increasing tolerance can prompt people to escalate their intake and demand subsequent prescriptions. ‘There’s good research showing there’s been a four-fold increase in the prescribing of these drugs between 1990 and 2014, particularly for Oxycontin, Tramadol and fentanyl’, said Ms Roxburgh. In July 2017, in response to concerns about misuse of prescription opioids and other medicines, the Australian government announced that it would invest $16 million to monitor the prescription of opioids nationally. Once established, the system – known as Safescript – will alert pharmacists and doctors if patients receive multiple supplies of prescription-only medicines. The Australian Commission on Safety and Quality in Health Care recently revealed that general practitioners (GPs) in parts of rural Victoria were found to be prescribing opioids in quantities three times greater than their metropolitan counterparts. Interviewed for the Geelong Advertiser in early January 2018, Dr Michael Vagg, a director at Pain Matrix in Geelong, said ‘there is an awful lot of codeine use in the country … we are hearing reports about people who are very worried about (the change) and who have begun stockpiling codeine.’ Geelong pharmacist and Pharmacy Guild of Australia representative Nader Mitri confirmed this concern, adding that people who use codeine should visit their GP and pharmacist to discuss treatment for their pain. On 21 January 2018, the TGA issued a discussion paper on the use and misuse of strong opioids such as oxycodone and whether specific regulatory responses were needed. This, and the data presented above, suggests that making codeine prescription-only is unlikely to be the last action the TGA takes to restrict opioid drug availability. The Safescript monitoring system will provide further evidence about patterns and trends in prescription opioid use to guide the TGA’s decision-making.